I hope you are having an amazing 2016 so far! I can’t believe it is already February. The start of a new year means resolutions, goals, Super Bowl, Pro Bowl… and our annual Pro Cheer Workshop, of course!! … and how could I forget… it’s also audition season!! 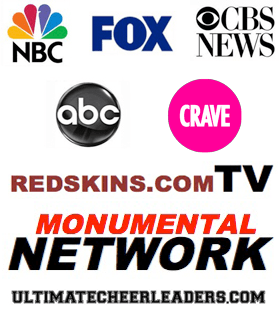 With the cold weather… comes NFL professional cheer and a few semi professional cheer team auditions. So NOW is the time to start preparing. 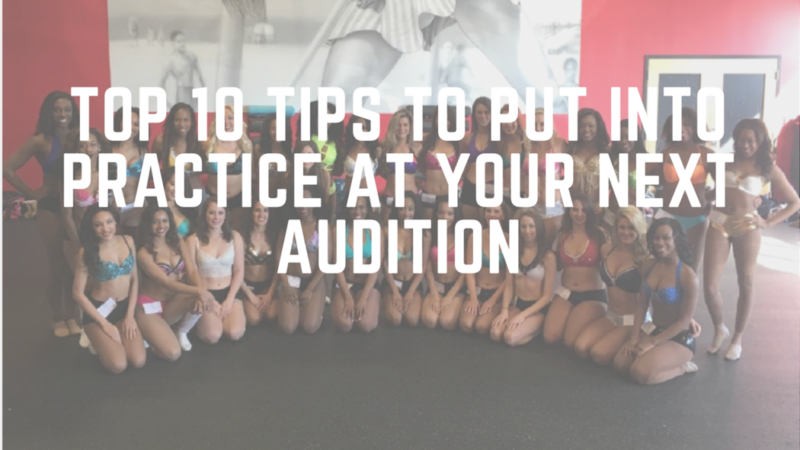 Don’t make the same mistakes most ladies make… waiting until the last minute to get Prepared, Polished, and Confident for auditions!! If you had the opportunity to join us at the Pro & Semi Pro Cheer/Dance Audition Prep Workshop, you know that we danced our booties off!! It was such an amazing experience… with over 100 ladies all in the same place with the same goal!! These ladies danced their hearts out and I was overjoyed to see the determination and drive of everyone there. And it did not go unnoticed by the Coaches & Directors. Day 2 was our Mock Audition, where 35 ladies performed in three rounds of audition and received one-on-one feedback from our judges. We had a judge representing the Baltimore Ravens Cheerleaders, Washington Redskins Cheerleaders, and Washington Wizard Girls. 1. Do your research and have “The Look” on audition day. 2. Focus on your Fitness Level and ensure you have a tight, tone body. moment even as you exit. your aura, and your spirit. 5. Practice your public speaking… nail your introduction speech or interview. 6. Nail Your “Chance in the Spotlight”… show off your unique skills. dance, when are you standing there waiting, as you exit. 9. Recover Quickly. Don’t let it show on your face. 10. Dance full out and nail your performance and just Have FUN !! Tip: Remember that your mindset controls most things in your life… from your mood, to your words, to your drive, to your motivation. Get in the right mindset BEFORE you walk into your next audition. Be sure to stay tune to the end of the video for a few bloopers… LOL!! CONGRATS again to all the Lovelies that attended the Pro Cheer Workshop. Now it’s time to get moving and become prepared for auditions!! How do I Accomplish My Goals & Get Stuff Done? – Part II: The Importance... Top 10 Terrible Audition Mistakes You Don’t Want To Make!